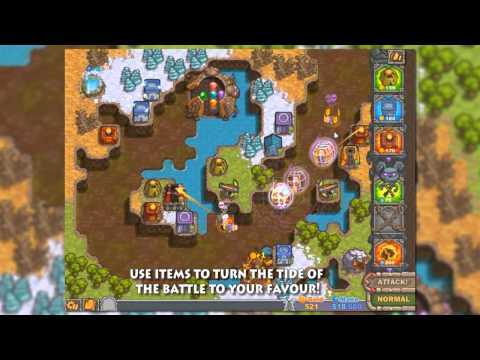 The cursed gems of the Dark Overlord are in danger in this tower defense game. The greedy “heroes” of the Kingdom once again want to steal his treasure! In Cursed Treasure 2 you must keep the gems safe from the oncoming waves of champions. Build towers so your minions can help you defend the jewels. Use the high ground and cast spells to gain an advantage over the treasure seekers. Upgrade towers to help you defeat the bosses. Help the Dark Overlord and his armies of orcs, undead, and demons keep his gems in the safety of his own cave!